Are you prepared for a disaster? From tornadoes in the summer to hurricanes in the fall and blizzards in the winter, Mother Nature can quickly take us by surprise, so it's important to take some time and think about your own emergency preparedness and disaster survival preparation. Usually in emergency situations, the power goes out and your refrigerator, freezer, and oven become useless. If you're lucky enough to have a gas stove, you should still be able to cook, even with an electronic ignition; check your manual and be sure to keep matches available in a waterproof container. An outdoor grill can be a great appliance to use, but do not use it indoors, even in the garage. So what do you do if you have an electric stove or oven and the weather is too bad to grill outdoors? Rely on these tips. Canned and dried foods can really come to the rescue in these situations. Purchase low-sodium varieties and store them in a cool, dry place, making sure that you mark the purchase date on the product. Collect easy recipes that use these items and store them right by the foods, along with basic utensils like a can opener, bowls, spoons, and plates. There are lots of shelf-stable items that are not canned. Look for juice boxes, stock and broth in boxes, dried fruits and snack items, and others that can be stored without refrigeration. Rotate your stock of canned and dried foods occasionally to be sure that your supply is fresh. Make sure you get the Parmesan cheese sold in the plastic container. That cheese is meant to be stored at room temperature, even after the package is opened, so it's great to have on hand in an emergency pantry. Many fruits and vegetables will hold their quality at room temperature. Apples, bananas, tomatoes, grapes, heads of lettuce, squash, onions, potatoes, celery, peppers, and other produce will keep well as long as they are stored in a cool and dark place. Water is an important staple, not only for drinking but also for rehydrating dried foods. Have a good supply of bottled water on hand for drinking, cooking, and even brushing your teeth. At the minimum, store at least a gallon of water per day per person in your household. Prior to Hurricane Katrina, experts recommended that you keep enough around for three days' worth of meals, but one or two weeks worth of supplies is a better idea in case of long response times. In addition to food, a well-stocked pantry should include batteries, a radio, pet food if your household includes furry friends, bottled water, flashlights or emergency lights, candles, a can opener, matches, and any prescription medicines your family needs. A first aid kit is also necessary; if you have the room, think about storing extra clothes and blankets, too. Remember to keep your cell phone with you and make sure the batteries are well charged. Remember that if you don't have a source for cooling foods, you'll need to make just enough for you to eat within 1 to 2 hours. A cooler filled with ice is fine for keeping foods cold, but it won't chill warm or room temperature foods fast enough to prevent safety problems. Either eat all perishable food within the 2 hour time frame or discard it. If the weather is safe enough so you can grill outdoors, make dinner packets with heavy duty foil. The cleanup for these one-dish meals will be minimal, as do paper plates, cups, napkins, and plastic utensils. For information about loss of power and food safety, see What About Power Outages? 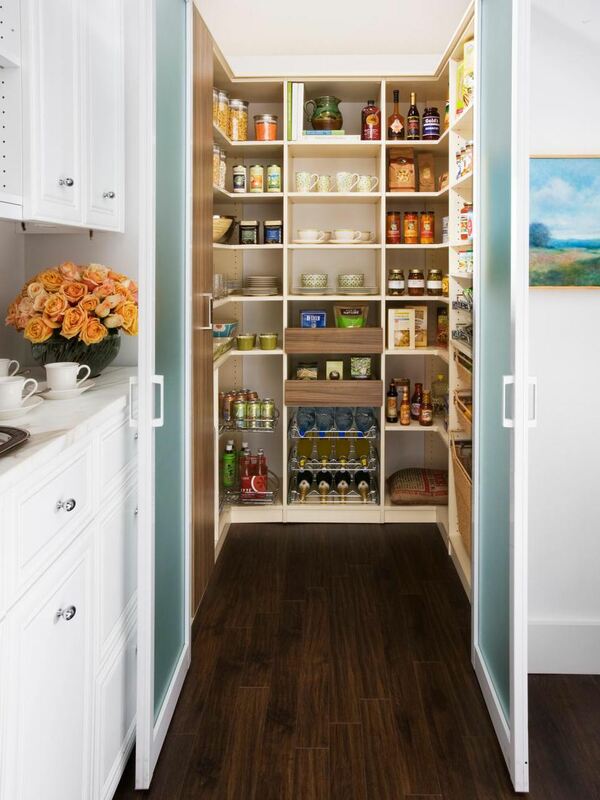 For a full list of items to store, see Pantry Staples. Check out our reviews of the best survival food companies. Stock your pantry and stay informed. You'll feel better knowing your family is prepared.